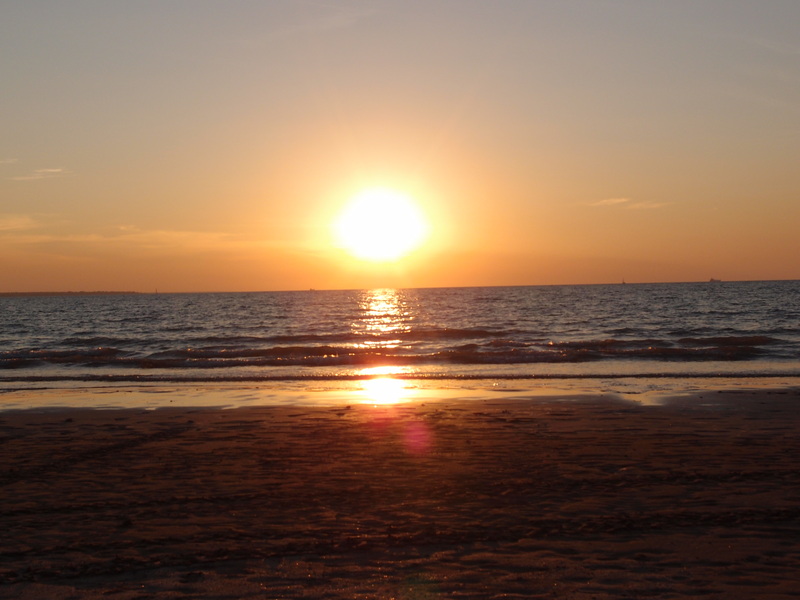 For those of us in Melbourne who are fed up with the winter chills this year, the perfect long weekend getaway is Darwin. Often losing out to Sydney and the Sunshine Coast, Darwin is increasingly becoming a destination of choice for a weekender with friends or a couples retreat away from home. It is hard to fit all the top end wonders into just one weekend but check out this schedule that will guarantee you see as much sun as one can in four days of serious relaxing and adventurous fun that involves mostly eating, eating and MORE eating. All year round there is a plethora of European tourists on Darwin’s shores but if you want to beat the weekend rush, aim to get into Darwin on a Thursday afternoon. To maximise your stay, hire a car to reduce travel times. Although Darwin has a bus service (which is pretty much free for everyone) it is limited to the metro area and unless you are willing to jump on a foreign tour bus, a car is for you. Most flights arrive late afternoon so head straight to the Mindil Markets for that million dollar sunset shot followed up with a local assortment of tasty tropical flavours which include fresh juices and smoothies, Gyros that are out of this world and a surprising amount of Malay and Indochinese dishes. 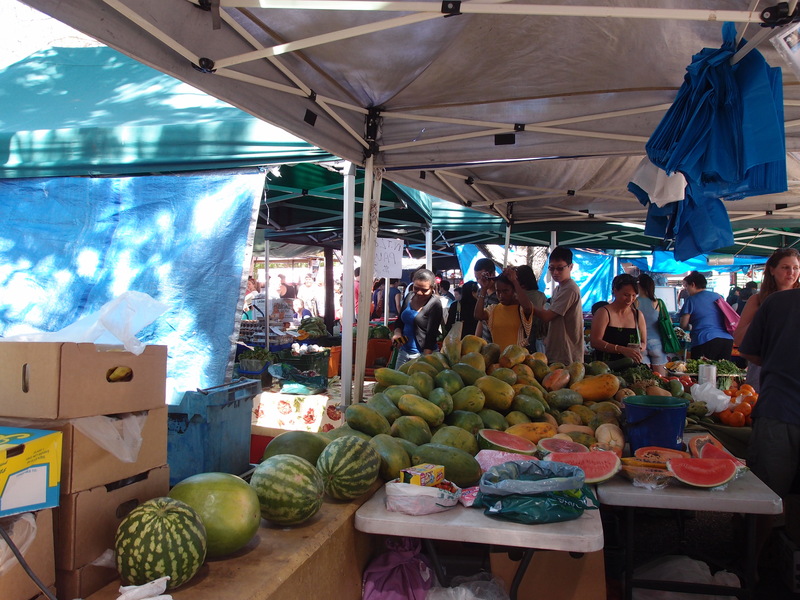 Like most things in Darwin, the market runs from April to October on Thursday and Sunday evenings. Get an early start on Friday which should be easy to do with the early sunrise. 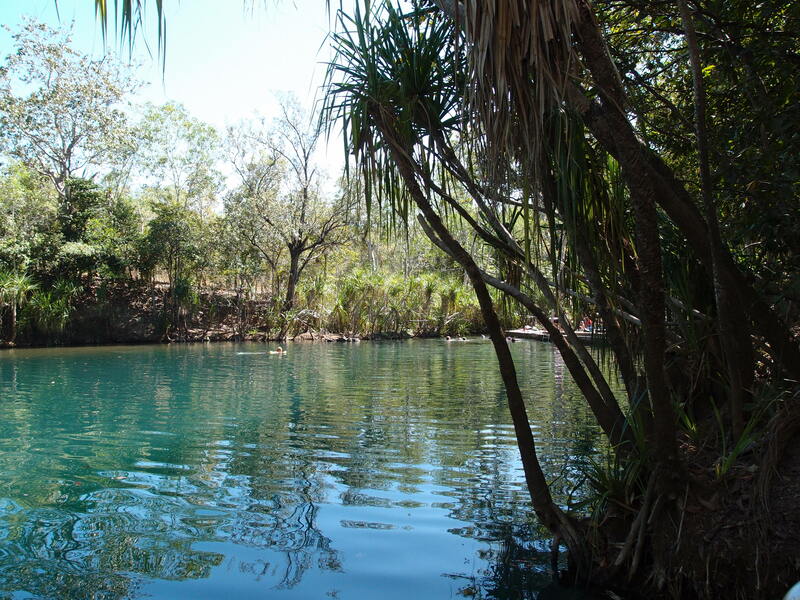 Head out of town and down the Stuart Highway to Berry Springs National Park. Here you will find the perfect watering hole to cool off from the heat. With a collection of different natural spring water pools to swim in it is hard even on a busy day to feel bombarded by fellow tourists. The water is clear, blue and fresh and allows easy access for even the challenged swimmers like myself. The refreshing pools are interconnected so it is easy to move between areas. The pools are surrounded by lush green lawns and natural wildlife, which makes it easy to lose a few hours here. Head down the Highway a few kilometres and pay a visit to the Crazy Acres Farm Shop. Prepare to have a big lunch here as you will want to keep on eating – I guarantee you won’t want to leave. 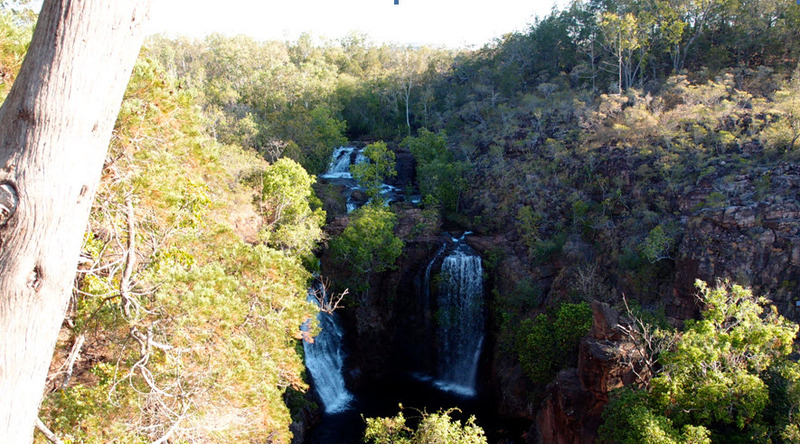 Although a couple of hours drive following the signs to Katherine, Litchfield National Park is well worth the journey (and is a little closer and easier than Kakadu for weekenders).At the heart of the Park are the Cascade waterfalls and well worth taking the hour long walk through the native surroundings to get to. The most rewarding part has to be the cool down swim at the end. If you are not too keen on driving the distance, there are a number of smaller falls, pools and walks along the way once you enter the Parks grounds. Remember to leave yourself enough time here as the Park does close at dark and unseasoned drivers should we wary of roadside wildlife particularly at dusk. 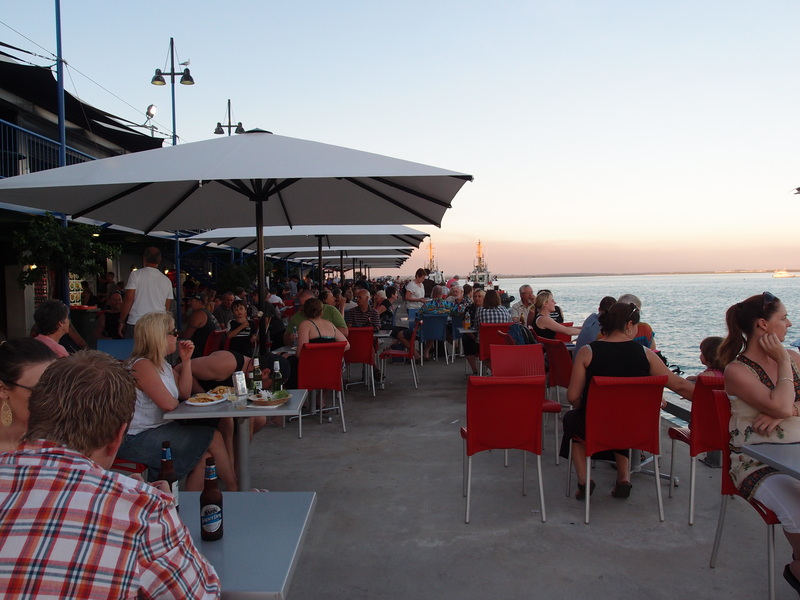 If you are not too exhausted from the day make an effort to visit Mitchell Street, Darwin’s centre for nightlife. Things are quite until very late but the drinks are cheap and the laughs are cheaper. A suggestion to all females – wear your flats and be prepared to run into a number of 20 something European men that will keep the comedy rolling. Things can get quite rough in the early hours of the morning on Mitchell so make an effort to head home before the night gets too tough. Every Saturday and Sunday morning the outer suburbs of Nightcliff and Parap hold morning markets which for the most part are the same vendors as the Mindil Market but with a local audience. I highly recommend having Pho for breakfast and the coffee vendor here is the best I could find in Darwin for all you ‘Coffee Belt’ residents (The coffee belt is what locals call people from Melbourne and Sydney). Between the food vendors, the markets are scattered with quirky local arts and crafts from crocodile belts and bags to locally made jewellery and clothes. These markets are seriously cheap and all vendors with a seasonal occupancy are required to attend every week so it is a great way to get out and support the local community. A short drive towards the city centre from the markets is Cullen Bay. You will find most of the hotels here as the oceans views speak for themselves. Backing onto the beach (which you cannot swim in) is the marina where all the expensive yachts dock and where some of the best seafood is served in Darwin. 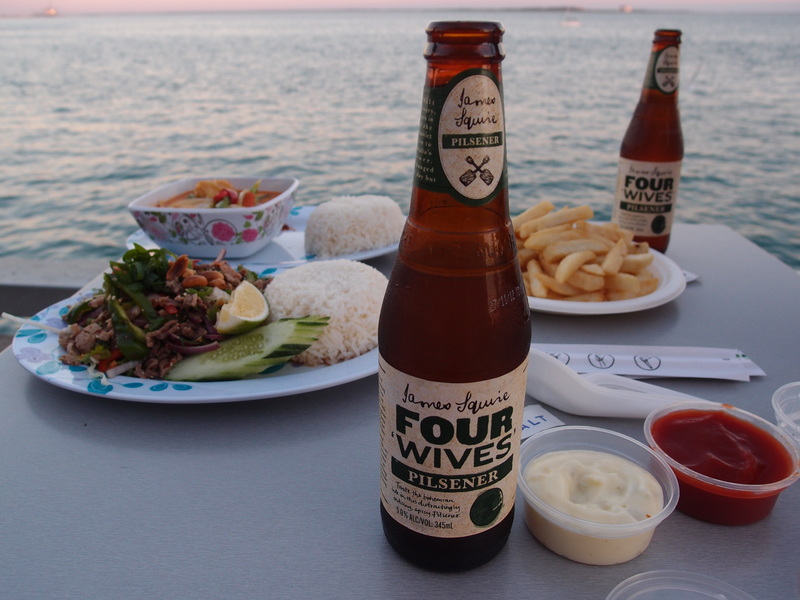 If you are not sick of eating yet, head to Stokes Hill Wharf for dinner. Connected to the new Waterfront Precinct this area is vastly up and coming and is a great way to spend an afternoon and evening. The Wave lagoon does require an entry fee ($8 for full day entry) but is croc free and right in the heart of Darwin. The Precinct is a great place to read a book and relax and like Cullen Bay is surrounded with high quality seafood restaurants. Just a short walk down the hill is the Deckchair cinema which plays double features on Friday and Saturday nights as well as a film each night of the week. Supported by the Darwin Film Society the films are chosen with much deliberation and are an arthouse fans dream. Dinner is available along with $4 beers and the infamous Crazy Acres ice-cream if you still have room left. Finally for the perfect pre departure Sunday afternoon, the Ski club is located on the beach next to the Museum and Art Gallery of the Northern Territory. After what will be a quick look through the gallery, guests can sign into the ski club for a relaxing beverage or two in the shade. The club does serve food but I do not recommend eating here. On your way to the airport I highly recommend paying a visit to the Heritage Burnett House for High tea between 3pm and 5pm. 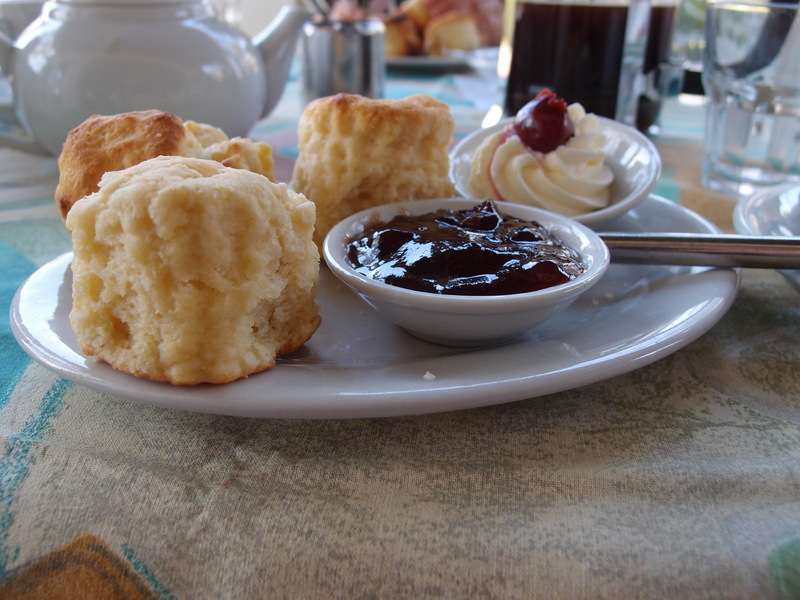 Run by volunteers, for $10 you can have a whole pot of tea or coffee with a selection of cakes and scones in the gardens of the estate and take a tour of the fully restored heritage home. This will guarantee you a full stomach for the long flight home back to the dark and cold just in time for another week of work.